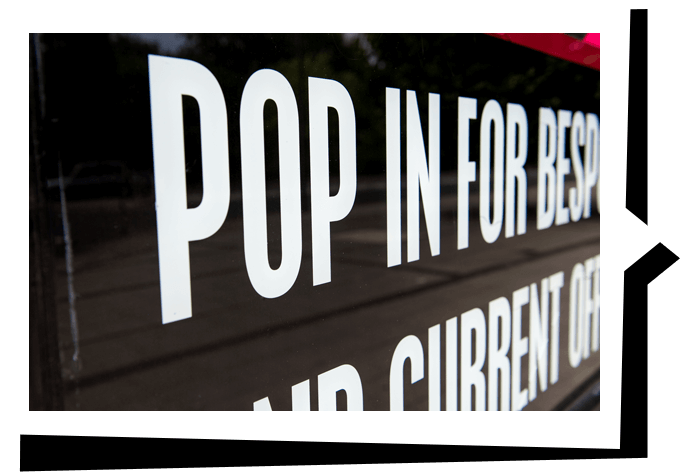 Decorate shop fronts with personalised graphics and make your space your own. 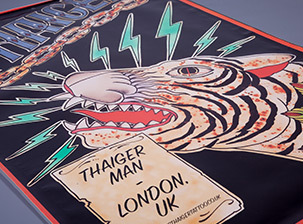 We design and apply all graphics in-house. Signage and large-format print is about more than just letting people know who you are and what you can offer – although of course a lot of the signs that we create are for that very purpose. Signage can also be used very effectively to transform an internal space, such as your office or shop. Whether it is for internal or external use, a promotional one-off instance, or a permanent exhibition of what you want to shout about, then we have the skills and experience to make it happen for you. 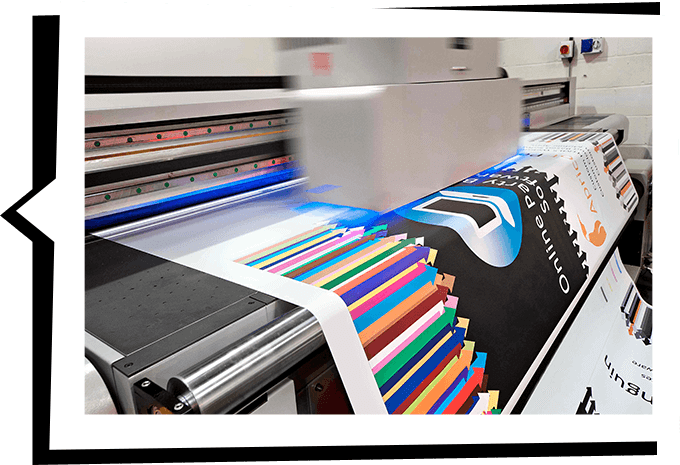 Signage and large-format print options are specialised areas of branding and marketing. They require careful design and installation, and there are many and varied options to choose from to personalise your space and your messaging. You tell us what you have in mind and we can bring it to life for you. We will talk you through the options and pretty soon you will have a brand-new sign (or signs!) for your clients to admire from afar. We can help transform the front of your building or the interior of your office, using beautifully designed, carefully applied graphics. We will always install this kind of signage for you – it’s a specialism, which needs to be both carefully designed and installed with care and precision. Our all-round service ensures you get the look you want and the quality installation your business deserves. External graphics. These might be for a shop window or the front of your business, showcasing your brand. We can even create living logos and 3D logos, cut into any shape or design. Internal graphics. We can create designs and manifestation signs for glass, helping you adhere to health and safety policies while brightening up the office as well. Plexi lettering. Made from coloured or transparent acrylic, we can cut this lettering into any shape and use it to promote your business. It can be fixed to a structure or remain freestanding. Talk to us about your options – we can help make your business your own, decorating and personalising your space so it is truly reflective of you. Get in touch with us, or pop into our shop and speak to the team in person. We’re open 8.30am-5pm Monday to Thursday, and 8.30am-4.30pm on Fridays. Find us at 16 London Road, Bromley, Kent BR1 3QR. Order your outdoor banners directly 24/7 on our partner site printing.com. Benefit from discounted rates on a wide variety of designs. Contact Printingprogress for your full signage quote. 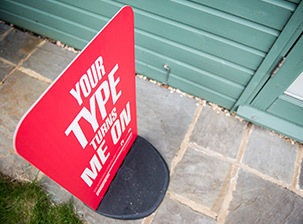 Show people your business exists – let a pavement sign do the talking. Outdoor advertising that will stand the test of time. Everything you need to serve up menus that look great to your guests. Brand your vehicle to fit in with your professional image.